A pair of lettered aracaris is now on exhibit in the zoo's Animal Lifestyles building. 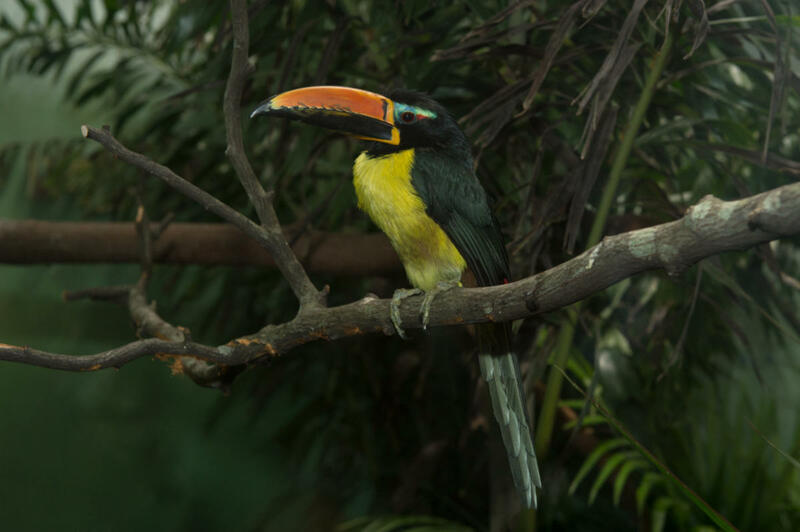 Their species is one of roughly 40 types of toucan, and one of the smaller ones at that. Lettered aracaris weigh approximately four ounces and reach about 12 inches in length as adults. They are native to the moist, lowland forests and swamps of Ecuador, Brazil, Columbia, Bolivia, and Peru. While not endangered, the bird's natural habitat is facing serious threats from among other things, habitat fragmentation and climate change.